Irish Painting Company Inc is a leading provider of Garage Floor Painting and Garage Floor Coating services and has been since 1984. Irish Painting Company Inc's expert garage floor coating technicians have years of experience in making the most neglected garage floors look new again. 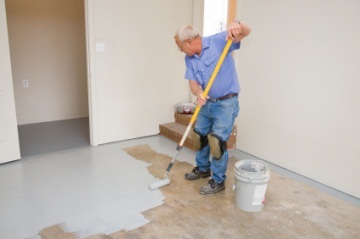 Irish Painting Company Inc begins by carefully preparing the surface by removing dirt, grit and grease and filling in any lines, divots, and cracks. Next, Irish Painting Company Inc professionals apply the specific paint, garage floor coating, sealant, urethane or epoxy that has been selected and complete your job according to your expectations.